Molehill’s first international tour is in the books! We had a great time playing two nights in Toronto a week ago as part of Indie Week and the Outlaw Roadshow. It was kind of crazy to actually have to bring our passports on tour. Hopefully this is just the first time of many! We half expected the instant van search after we said we were in a band. Luckily, we got a very nice border guard. Guard: “what kind of music do you play?” Us: “In the vein of Muse, Queens of the Stone Age, the Killers…” Guard: “Oh, so you are actually rock!” Score. We didn’t get a whole lot of time to explore Toronto. We drove straight from Chicago to the venue on Thursday night, then found our Airbnb and caught about 6 hours of sleep before spending the day in a hotel in downtown Toronto attending Indie Week panels. After leaving the panels to load in to our venue for Friday night, we had about 4 hours of downtime to actually explore the neighborhood of Parkdale, which was very cool! First thing we stumbled across, about 1 block from the venue, was this badass Moog store. 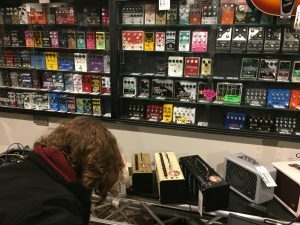 We must have killed a good 40 minutes in there just messing around with guitar and bass pedals, a bunch of different awesome keyboards, and even a theremin (which I’ve always wanted to play… and just couldn’t figure out how to set up properly! Very frustrating. Thanks, Obama). 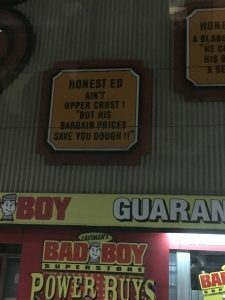 Honest Ed ain’t upper crust, but his bargain prices save you dough! Basically every other storefront on this street was another restaurant, and they all looked amazing. Kind of reminded us of New York City in that respect. We all grabbed dinner, then Trevor got a foot massage, and we were off to play our show! 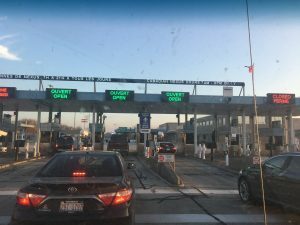 We caught 6 more hours of sleep and then drove back to Chicago. 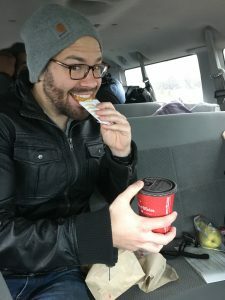 GVZ had been talking about Tim Horton’s for 2 days straight (even though none of us were entirely sure what Tim Horton’s was), so we stopped at one along the highway. Look at that happy face! 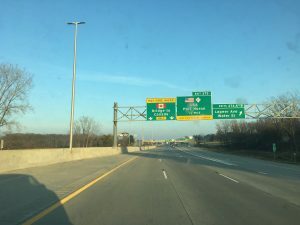 After another 10 hours of driving, we were back in Chicago. 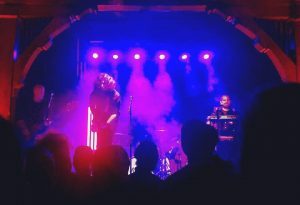 We got to play at Schubas Tavern, which is an amazing venue. I’ve seen so many shows there over the years, it was really exciting to finally play there ourselves. And the show was great! Basically the perfect way to wrap up our touring for 2016. And now, our focus moves back to new music. The first 5 months of 2016 were the most prolific writing period we’ve ever had as a band. We had 25 full songs ready to go, with lyrics and everything, before we picked our favorite 3 to record with J. Hall in June in Nashville. We are very excited to share this music with everyone, and we are just taking a little time now to decide what will be the best way to do so. We have a lot in the works right now – we’re writing more new music, booking new tours, and excited to hit the ground running in 2017. As always, thank you all for your support, and we’ll see you again soon! And Happy Thanksgiving!